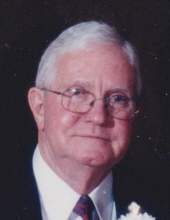 Webb City, MO–Jerry Dean Conner age 87 of Webb City, Missouri passed away on Friday, June 22, 2018 at National Health Care in Joplin, Missouri. He was born on June 18, 1931 in Webb City, Missouri to Otis Conner and Beulah (Wingo) Conner. Jerry graduated from Webb City High School in the class of 1949, he then joined the United States Navy and was a veteran of the Korean War. He worked as a welder and in quality control for Rocketdyne and also Tri-State Motors. Jerry loved to fish, was a master tomato gardener, an avid Webb City cardinals fan and also an avid St. Louis Cardinals fan. He was a member of the Emmanuel Baptist Church in Webb City. Jerry married Joyce (Henry) Conner on January 6, 1951 in Webb City and she survives him at home. He is also survived by his son, Craig Conner and wife Mary of Cedarville, Illinois; daughters, Cathy Shipman and husband Jerry of Diamond, Missouri, Janet Bradfield and husband Rod of Webb City, Missouri; and a sister, Fern Bair of Joplin, Missouri; along with 10 grandchildren, and 8 great grandchildren. Jerry was preceded in death by a daughter, Suzanne Mclaughlin. The family will be present for a visitation on Monday, June 25, 2018 at Emmanuel Baptist Church in Webb City from 6:00 PM to 7:00 PM. The funeral service will be held at the church on Tuesday at 11:00 AM with Reverend Kyle Beverlin officiating. Burial will follow at Ozark Memorial Park Cemetery in Joplin with full military honors. In lieu of flowers the family suggests memorial contributions to the Emmanuel Baptist Church in his memory. Services are under the direction of Simpson Funeral Home in Webb City.